MIT researchers have been able to use graphene to print 3D objects with a geometry that has 10 times the strength of steel but only a fraction of the weight. The discovery using the strongest material there is has the potential to enable lightweight products for airplanes, cars, buildings and even filtration devices because of the printed objects' porous designs. In its typical two-dimensional, flat state graphene is only one atom thick, so like a sheet of paper it is flimsy and easily torn. But, graphene also conducts electricity efficiently and is nearly transparent. Until now, researchers struggled to use graphene's two-dimensional strength in three-dimensional materials. This illustration shows the simulation results of tensile and compression tests on 3D graphene. Because of the extraordinary thinness, "they are not very useful for making 3D materials that could be used in vehicles, buildings, or devices," Markus Buehler, the head of MIT's Department of Civil and Environmental Engineering (CEE), said in a statement. 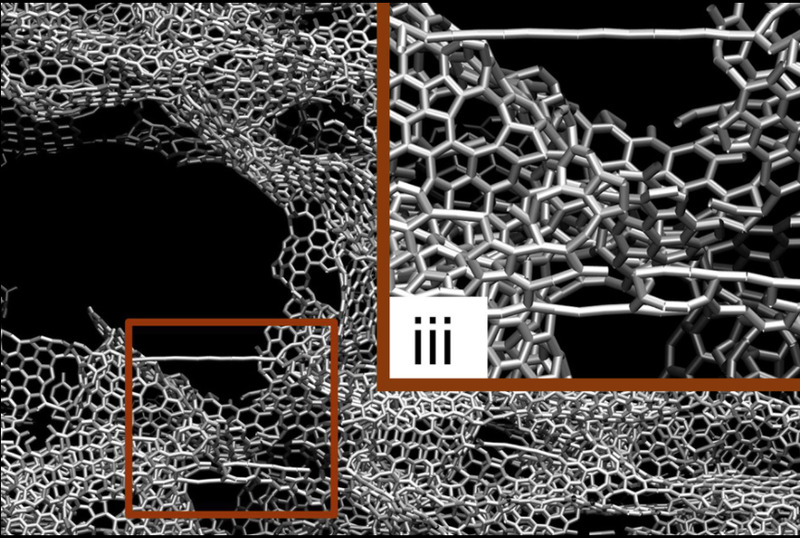 "What we've done is to realize the wish of translating these 2D materials into three-dimensional structures." The researchers created the new graphene structures using a proprietary, multi-material 3D printer; the structures have a "sponge-like" configuration with a density of just 5%. Combining heat and pressure, the MIT researchers were able to compress small flakes of graphene to produce a strong, stable structure "whose form resembles that of some corals and microscopic creatures called diatoms." The new shapes contained an enormous surface area in proportion to their volume, and proved to be remarkably strong. The researchers' results were published last week in the journal Science Advances. The research provided data about the critical densities below which the 3D graphene assembly starts to lose its mechanical advantage over most polymeric cellular materials, the researchers said. "Once we created these 3D structures, we wanted to see what's the limit — what's the strongest possible material we can produce," McAfee Professor of Engineering Zhao Qin said. To test the 3D printed graphene's strength, the researchers created a variety of three dimensional models and then subjected them to various tests. "In computational simulations, which mimic the loading conditions in the tensile and compression tests performed in a tensile loading machine, one of our samples has 5% the density of steel, but 10 times the strength," Qin said. Just as rolling a piece of paper increases its strength, creating 3D printed geometries with graphene increased its ability to support substantial weight. The new configurations were made in the lab using a high-resolution, multi-material 3-D printer. They were mechanically tested for their tensile and compressive properties and simulated using the team's theoretical models. The results from the printed models and the simulations matched. Because graphene materials used by previous researchers can be lighter than air, some considered whether when used in a vacuum, the graphene structures could serve as a substitute for helium in unpowered flight. Because of the MIT researchers' more accurate computational modeling, the use of graphene as a replacement for helium in balloons was ruled out because the material would not have sufficient strength and would collapse from the surrounding air pressure. The MIT researchers, however, found that there were many other applications for the graphene 3D structures where a combination of extreme strength and light weight could be a benefit. "You could either use the real graphene material or use the geometry we discovered with other materials, like polymers or metals," Buehler stated. "You can replace the material itself with anything. The geometry is the dominant factor. It's something that has the potential to transfer to many things."